Our West Chester Glider bench has a smooth gliding motion that will lull you to sleep. 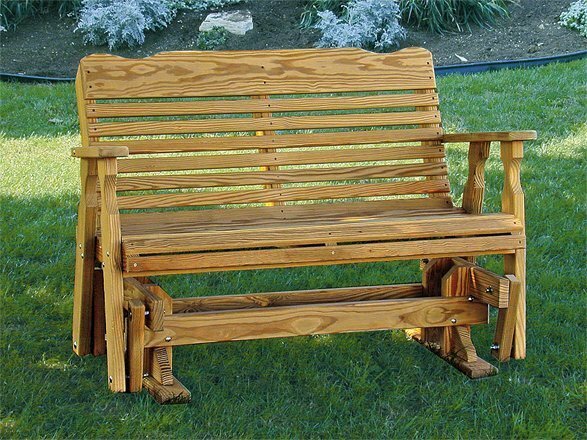 This pine glider bench is Amish handcrafted in the USA. Shop our outdoor furniture and be sure to check in with one of our Amish furniture specialists with questions or assistance on locating the perfect outdoor patio furniture. Call with questions on our glider benches for the outdoor patio.